We all come to a point in our lives where we realize there is knowledge out there that we need, and don’t have. Never has this been truer than when you have a flat tire but you have no idea what to do about it. You could always call for a tow, or for somebody to come out and do the replacement for you. That’s the option of most people, anyways. But you aren’t most people. You’re prepared for the worst, and you’re handy with a tool or two. Okay, maybe not, but after reading this you will be. Whether you love DIY projects around the garage, or you’ve never held a wrench in your life, we’re going to break this down into simple parts. The goal is to save yourself time, money, and a big hassle. Buying new tires is incredibly expensive, especially since you have to have them put on, and have your car aligned. If you want to do it yourself then you came to the right place. As it turns out changing a tire isn’t hard at all! In fact, pretty much anybody can do it. Don’t be intimidated by the idea of it. The first step in learning how to work with your car is learning how not to fear it. We understand that automotive work always carries a risk, and it can be terrifying to chance screwing up. After all, your car is your pride and joy. More importantly, it’s what gets you to and from work, most likely. This means that your vehicle is your most expensive “money maker”, so to speak. Think of it this way: You don’t want to slaughter the cow you have to get your milk from every day. On that same note, however, you want to be able to provide proper care if that cow gets sick… especially if it’s such an easy, quick fix! So, let’s get down to business and learn how to take care of a sick cow! Just kidding. Today’s article is, of course, all about how to change a tire. Remember the last time you were driving down your street, screaming obscenities about all of the potholes your tax dollars aren’t fixing? We sure do! It’s a common occurrence for many. Potholes can be damaging to your car in many ways, but they take the biggest toll on your tires. 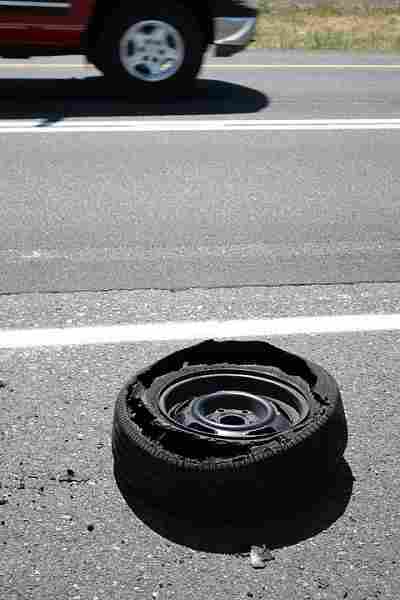 Running over curbs, hitting objects, and other small incidents can also lead to your tire weakening and, eventually, blowing out. Anybody who uses a large vehicle to haul anything will be familiar with this cause. When you overload a vehicle you put a strain on the tires that will eventually cause them to fail. Each truck/car/SUV has a Gross Vehicular Weight Rating. You can find this easily online, and with some simple math, you’ll be able to figure out whether your set of wheels can handle the haul. If not it’s always better to find a different mode of transportation. The bed of your vehicle may be able to handle the amount of material you need to move, but that doesn’t mean that the tires will be able to. Better to be safe than sorry, always! At the end of your tire’s life, however, it doesn’t really matter what caused it. We have other articles that explain this a little more deeply, as well as how to prevent it. This article is to help you change your tire on the fly so that when that time comes you’ll be prepared. In the next section, we’ll explore this process step by step in depth. This will give you the confidence, and the knowledge, to tackle a tire change! Make sure that you are able to safely pull over. Find a safe place, and try to get there. Put your hazards on, and do not abruptly break, or turn. 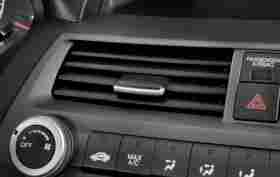 You can lose control of your car if you do either of these things! Instead put very, very soft pressure on the breaks and slow down incrementally. 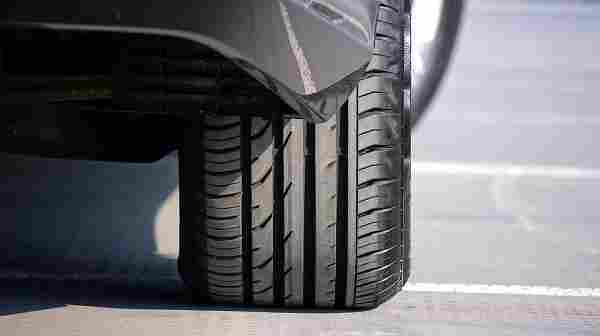 Other drivers should notice your hazards (and your tire situation! ), which will make them more willing to let you go where you need to. Once you are able to pull over immediately put on your parking brake. This will keep your vehicle more safely in place. 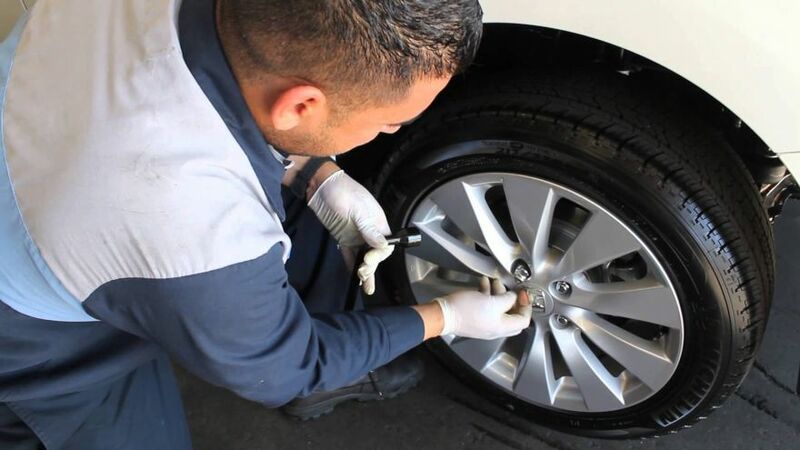 This is also the time to apply wheel wedges, which will also keep your vehicle secure. 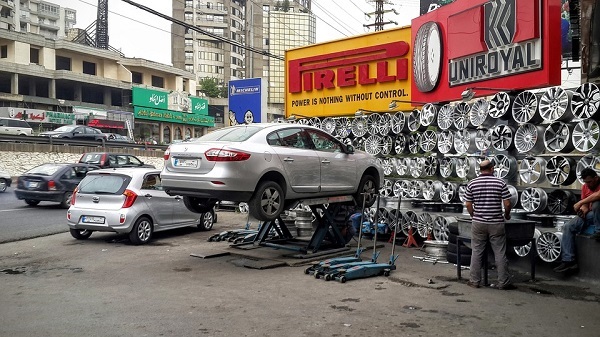 Now, take out your tool kit and get ready to get down to tire-changing business. The last two are optional, but we do recommend keeping them with you anyways. They’re great items to have on hand in pretty much any situation. You’ll especially appreciate having them if it’s dark out, or if it’s raining and slippery. Remove the hubcap/wheel cover, and place your jack under your vehicle. From here you’ll raise the vehicle with the jack, making sure to be careful during this process. If there is a time for caution this is it. Now the fun really begins! The first step in the actual removal process is loosening the lug nuts with your wrench. You will want to turn them counterclockwise, applying as much force as you need to in order to get the job done. It’s okay if you really have to use your weight! Sometimes they can be pretty stuck on there (with good reason!) so you may have to use your entire body as leverage. You will now move on to raising the car. Make sure the jack is still properly positioned and then begin raising the vehicle. It’s recommended to raise t until the faulty tire is about six inches from the ground. Remove the flat tire by securely holding the treads, and pulling it slowly toward you. It will come completely free from the hub with a little TLC and can be placed on its side next to your car so it doesn’t roll away from you. From here you will place the new tire where the old one was. The rim should line up nicely with the lug bolts, which will show through the rim once the tire is pushed into place. Then, tighten up the lug nuts once you’ve put them back on. Your hand will do just fine for this job since you won’t want to fully tighten them until your vehicle is back on the ground. Bring your vehicle back down to you in order to finish the process safely. You want the tire to not be holding the full weight of your vehicle, so let it lower until it’s barely touching the asphalt. Now you’ll use your lug wrench to tighten those nuts the rest of the way! Easy, peasy. Wrench them on there with as much force as you used to remove them. Tighten, tighten, tighten, until you can’t tighten anymore. Use your entire body weight to really push that wrench clockwise as much as you possibly can! Now the hard part is over! Bring your car down the rest of the way, and replace your hubcap. You can now put away all of your tools back in your trunk. You’ll want to check the tire pressure in the spare to make sure that it’s still safe to drive on, however. Sometimes they can lose pressure in storage. 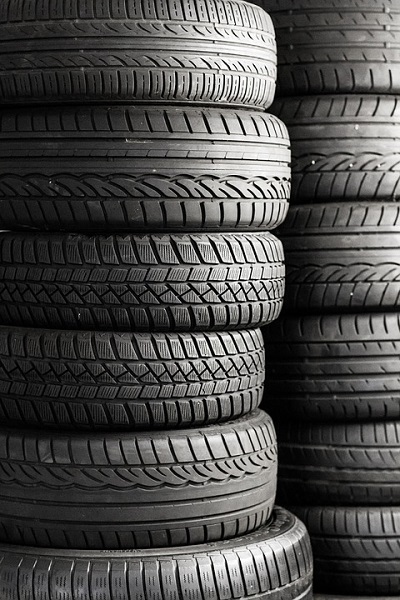 If it does not read 60 psi then drive slowly to the next gas station, or a service station if there’s one nearby, to get a new tire immediately. And, there you have it! This process is quick, easy, and relatively painless. Which is good since it can be such a pain to deal with. Nobody wants to land in this situation, but more likely than not you will end up in it if you drive a car. When the time comes you need to be prepared to take on the challenge so you can be on your way that much quicker. Taking some small steps can help you avoid a tire blow out, though! Make sure that your tire pressure is up to standard at all times, and check the pressure weekly. Keep them inflated properly, and don’t be afraid to have them checked out if you suspect damage. Having them rotated properly according to guidelines set by the manufacturer can be extremely helpful as well. By taking these small steps, keeping a fully loaded emergency kit on hand, and arming yourself with the knowledge you need, you’ll never be afraid of an emergency tire change again.